What better way to celebrate your special day than with this colorful birthday foam bead slime. My kids love making slime. 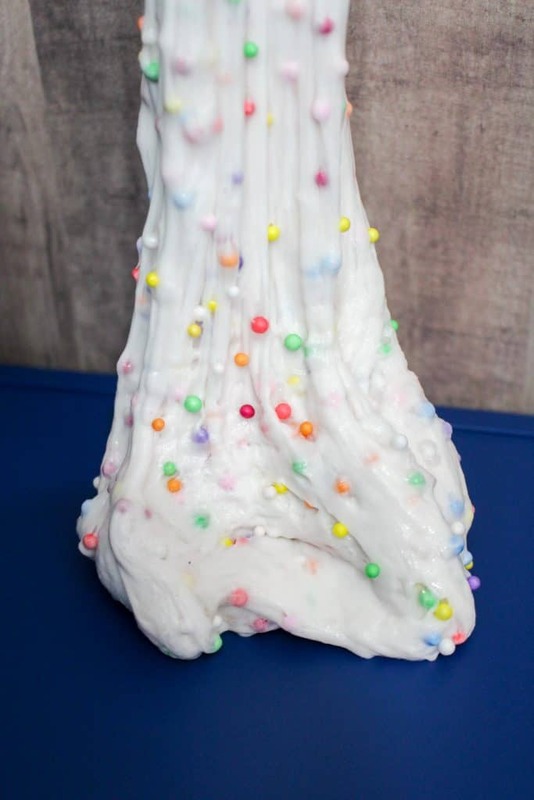 This one is especially a fun slime for kids when celebrated on their birthday. It is fun having them experiment with making different colors of slime and slime with different products. It is amazing the different slime recipes that people make for every event and holiday possible. My kids were so excited to make birthday cake slime. This is fun to make at a birthday party or to send with your kids to school in individual airtight containers to give to friends. This could also make a fun fairy slime, unicorn slime or rainbow slime. Slime is a great craft for kids because it is easy to make but is also a lot of fun. Slime with foam balls is fun because it adds a new texture to the experiment. I hope you enjoy making foam slime. Note: Where can you buy foam balls for slime? You can buy foam ball beads on Amazon. These are perfecting for making birthday foam bead slime. Pour in a few multi-colored foam beads. You don’t want a ton as these are just the ‘sprinkles’ and don’t want it to turn into a crunchy slime or foam but add to your heart’s desire. Drop a few drops of vanilla fragrance oil in. 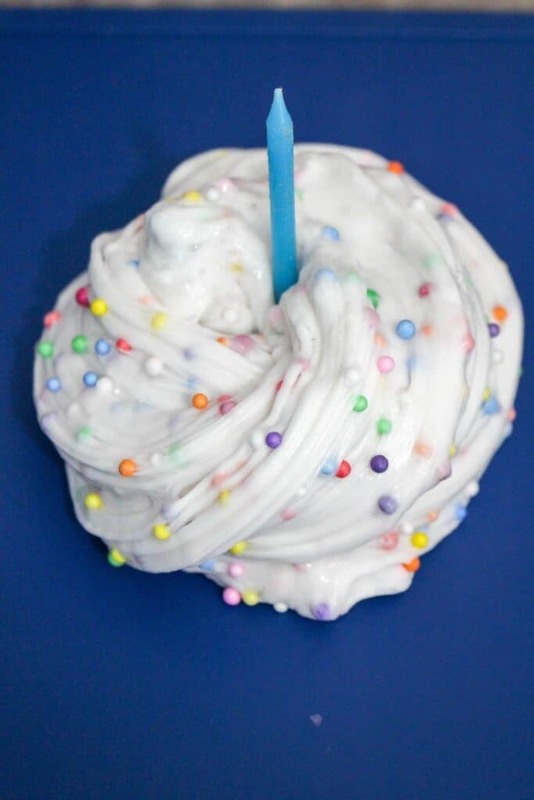 Your slime will smell just like a delicious cake – and it looks like a fluffy blob of funfetti icing! While it smells and looks, make sure it is not tasted! 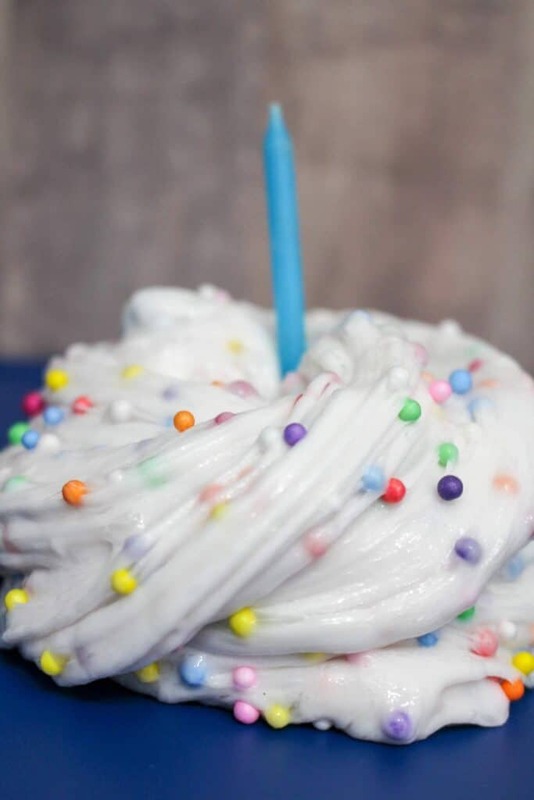 This Birthday Foam Bead Slime is a fun slime for kids. Drop a few drops of vanilla fragrance oil in. 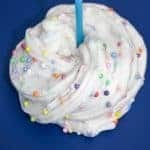 Your slime will smell just like a delicious cake - and it looks like a fluffy blob of funfetti icing! While it smells and looks, make sure it is not tasted!